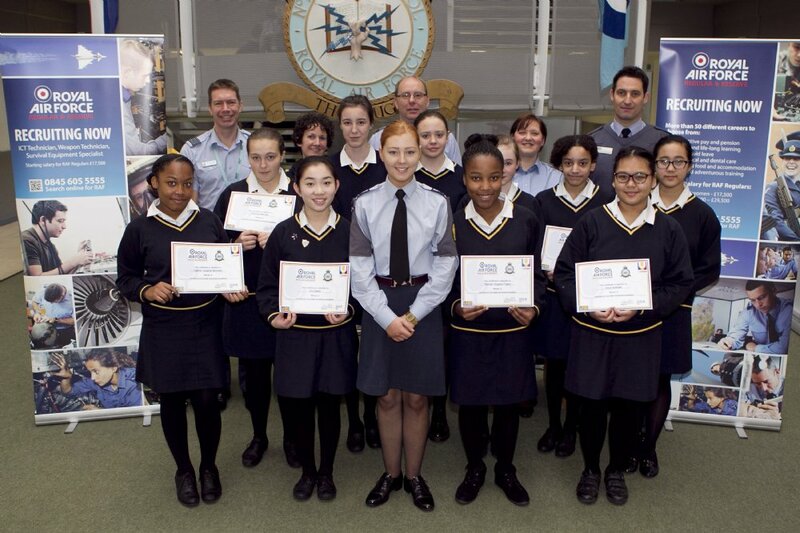 Air Cadets is a new initiative to St Paul’s which started in September 2014, with 25 new recruits. We are 492DF (detached flight) squadron, attached to 492 squadron in Shirley. 492 will be working with us as we build our squadron up. 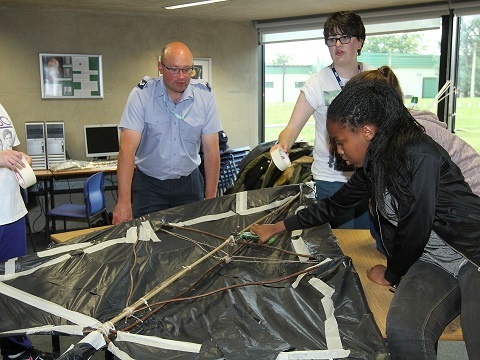 So far, 492DF have taken part in team building activities, air craft modelling and first aid. Some of our cadets have been learning to row on Edgbaston Reservoir, whilst others researched and recorded an RAF careers advertisement for a national competition. We are indebted to Cadet Warrant Officer Edmunds, the Lord Lieutenant’s Cadet, who has worked intensively with our cadets. 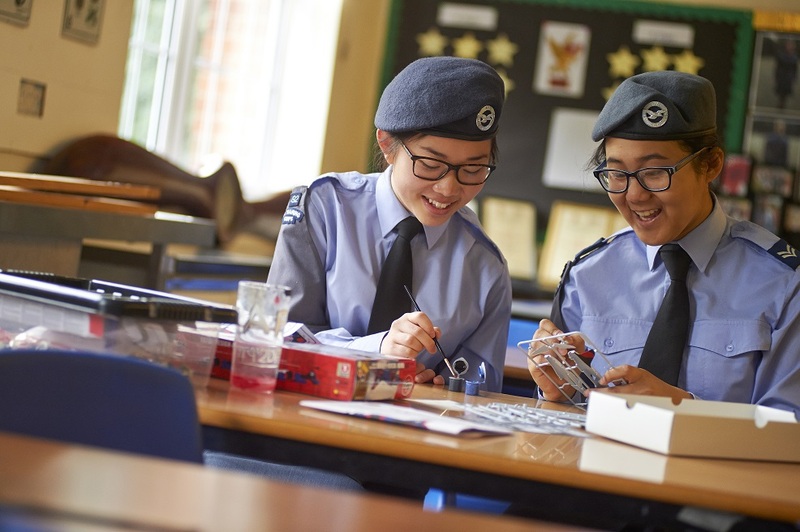 We emphasise that cadets is not an after-school club; as part of the Air Training Corps we uphold their expectations of attendance, discipline and ‘Venture – Adventure’. To learn more about the ATC please click here. To serve our community by producing the best young people with the highest standards and access to professionally delivered, nationally recognised training & qualifications. To achieve this standard with passion, determination, dedication and humility. We are the only all girl flight. We will become our own squadron within a few years. School staff and associated adults will be officers, uniformed and civilian instructors. The Air Cadets is NOT a Recruiting organisation for the RAF. This is a long term commitment. Cadets will not do all the activities in the first year let alone first few months. We will do new activities every year. We are a team and not a group of individuals. Cadets will be measured on their commitment to the team. We parade Tuesday and Thursday, from 3.30pm – 5.30pm. As an air cadet you can take part in several main sports at different levels - athletics, cross country, football, rugby, hockey, netball and swimming. 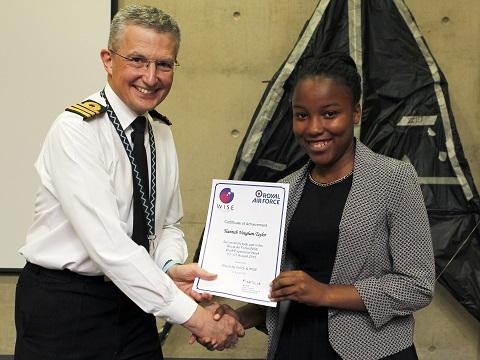 One of our cadets won the school's Work Experience Student of the Year award for 2015. She went to RAF Cosford during the summer holiday for a week-long residential, where she changed the wheel on a Tornado and built a glider! She gained a silver Crest award, an Industrial Cadet award, and a certificate from the Women Into Science and Engineering group. Well done Tiannah, we're really proud of you! The Warwickshire and Birmingham Wing of the Air Cadets held their annual athletics competition at Tudor Grange Leisure Centre on 09 May 2015. 492DF came first in the junior girls, claiming 11 medals and 3rd in the girls overall. This was the first time 492DF have competed. 16 cadets took part in a range of track and field events against other squadrons in the wing. 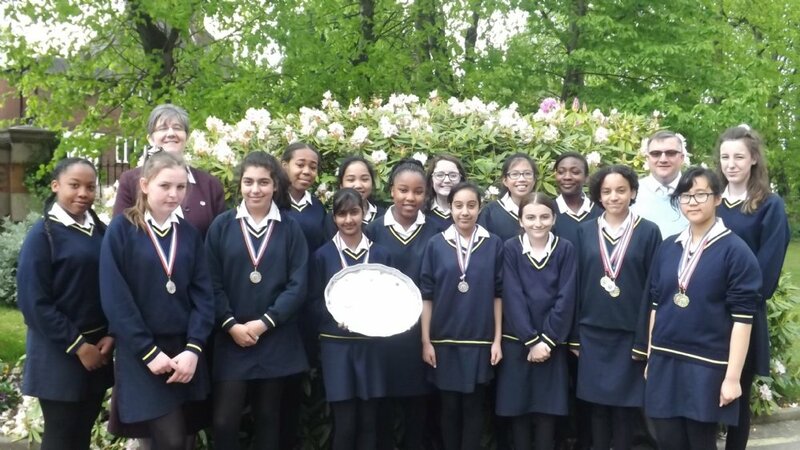 It was a fantastic result for the newly formed detached flight and only all-girl flight in the ATC. Two cadets have been selected to represent Warwickshire and Birmingham Wing in athletics. They are Corporal Grant (100m, 100m relay) and Corporal Young (High Jump). They are part of a 10 person squad for Junior Girls. The squad is made up of winners and best times from the recent Wing athletics day. Well done girls! We were delighted to win the RAF Careers competition with our radio advert for an ICT Technician. 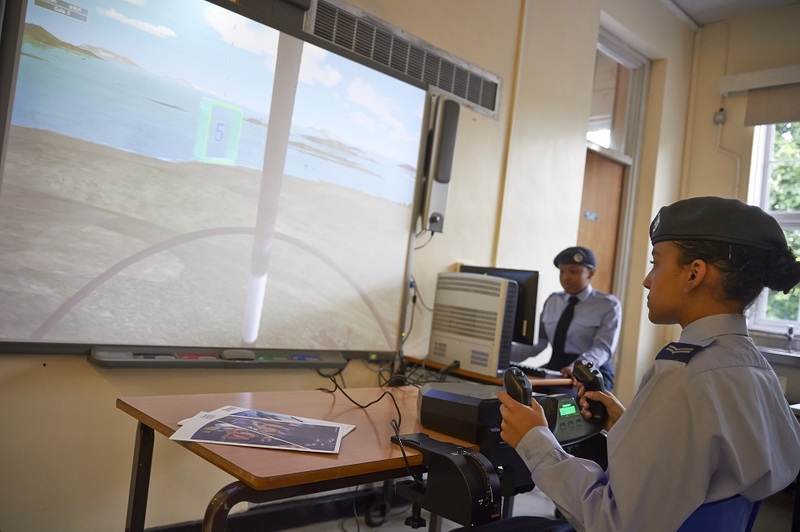 Our cadets were rewarded with a VIP visit to RAF Cosford, where we saw the training facilities for ICT Technicians and learned more about the role, including radar, cyber security and air traffic control. The cadets were presented with certificates and sports equipment, and we look forward to hearing our advert live on air! To launch the advert, the radio team were interviewed live on Big City Radio on 07 May 2015 and performed superbly - congratulations! You can listen to their advert and the interview using the links below.